We wanted to highlight a little about them because we’re so inspired by the work they’re doing every day. Below you’ll find an excerpt from the nomination we submitted on their behalf. 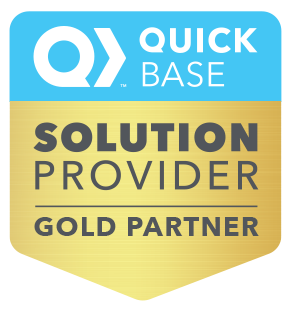 We think it gives a pretty great snapshot of how they’re using Quick Base to not only revolutionize their business but change lives in the process as well. Vumatel has rapidly grown from a new entrant to the market into one of the largest Fiber Optic Internet providers in South Africa - all driven on the Quick Base platform. Early on, the company leadership recognized that they would need to be extremely agile if they were going to compete effectively, so they purposely looked for a platform that was both stable and could evolve quickly as their business evolved. 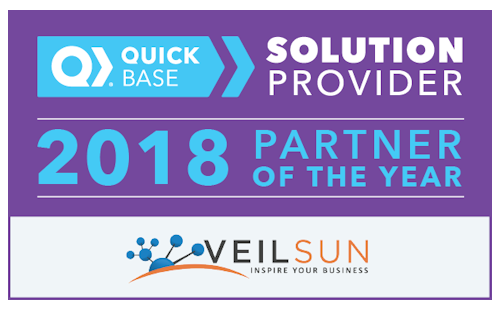 They landed on Quick Base and, both internally and with VeilSun, proceeded to build out all major areas of their business, including installation management, customer service, CRM, billing, field services, incident tracking, and project management. Today, most of Vuma's business runs on Quick Base and has allowed the company to quickly take over the market, integrate acquired companies into their process, and achieve operation efficiency. - Allowed for the successful acquisition and integration of other Fiber companies. In all, Quick Base has helped Vumatel gain dominance over the South African Fiber market. Quick Base's flexibility and speedy development allowed Vumatel to quickly build a system that differentiated them and could evolve as the market changed or as the company discovered how to do things better. The role Quick Base has played in helping Vumatel revolutionize the South African Fiber market is undeniable. But, even more importantly is the impact that’s had on the people of South Africa. 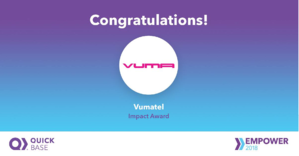 Through their efforts, Vumatel has helped impoverished people in South Africa connect in ways they never thought possible—enabling thousands of people to benefit from the wonders of modern technology. Stories like this are what make us so very proud to partner with companies like Vumatel and Quick Base.